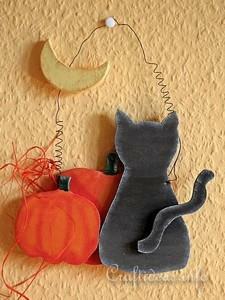 Free Halloween crafts including pumpkin crafts, scarecrow crafts, ghost crafts, black cat crafts and more. 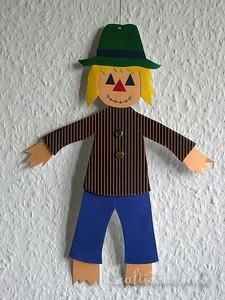 This scarecrow made out of wood is a fun project to do and is completed within 2 days. 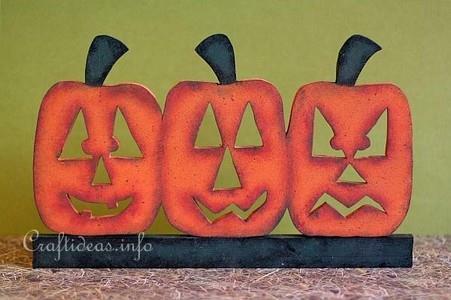 A great assortment of pumpkin faces makes Halloween decoration fun. 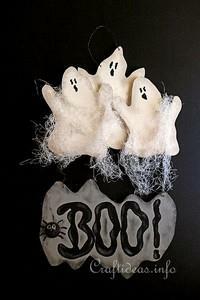 This project is of average difficulty and is completed within an afternoon. 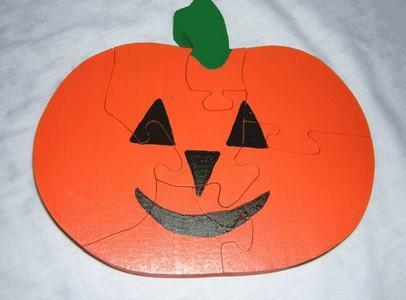 Carve out some good times with this pumpkin puzzle. 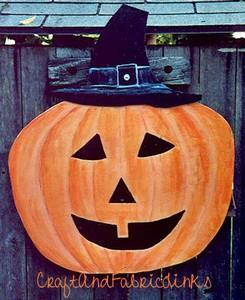 This friendly pumpkin is ready for fall, Halloween, or Thanksgiving. 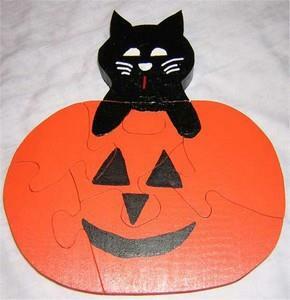 Great fun for the kids and decorative too, this puzzle is a quick and easy project. 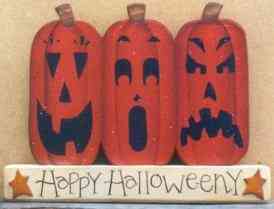 Looks good in the daylight, but also has a great spooky look to it by night when a couple of tea lights are lit behind it. 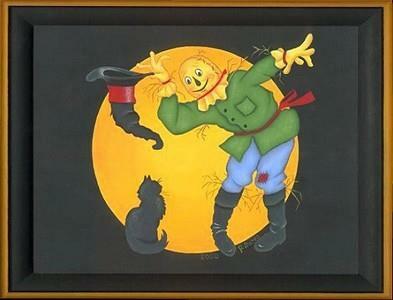 Tole painting is fun and this scarecrow is no exception, so enjoy! 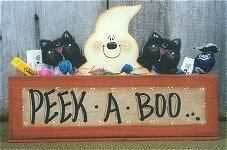 Quick & easy; there are only 4 pieces to saw out and the project is complete within an afternoon. 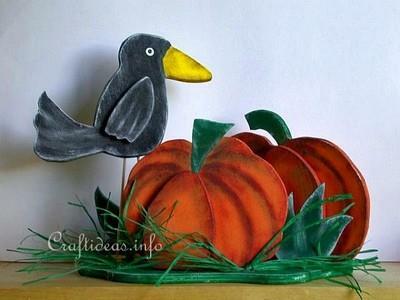 A fun craft project to make, and it makes a spooktacular place to store your Halloween candy!